Home • News & Events • News • RAMW Blog • Are Restaurants Responsible for the Health of Their Diners? Are Restaurants Responsible for the Health of Their Diners? Recently, the RAND Corporation (“a nonprofit institution that helps improve policy and decision making through research and analysis,” according to their website) has proposed implementing healthy dining standards for restaurants. This would require foodservice establishments to have a percentage of their menu items (on both adult and kids menus) meet certain nutritional criteria. Their reasoning behind this would be to help curb the obesity epidemic in the US by having healthy options at each and every restaurant. It’s not surprising that, on average, meals coming from a restaurant have more calories and sodium than those prepared at home. The suggested healthy dining guidelines would require at least three, or 10%, of adult menu items and at least 2, or 25%, of kids’ meals to match strict calorie, fat and sodium restrictions. There are also additional guidelines for beverages, and minimum servings of fruits, vegetables and whole grains required for each approved meal. While nothing has yet been proposed on a federal level to enact these guidelines, it has brought up an interesting question: where does the responsibility lie for healthy dining in restaurants? Should restaurants be mandated to carry healthy meal options, or should it be up to the diner to choose a restaurant that offers lighter dishes? There is no doubt that providing even just a few menu items on the lighter side can allow an ever-growing population of health-conscious diners enjoy a new restaurant, and supplying the nutritional content to back those healthy claims can work wonders in this new market. Whether or not this will become a mandate for restaurants is unknown, but it’s always smart to stay ahead of the curve and reply to the demands of consumers. 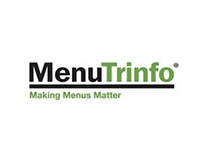 If your restaurant needs help creating healthy menus or nutritional charts please visit our website www.menutrinfo.com or call 888.767.MENU (6368) and see how we can become your partner in nutrition.